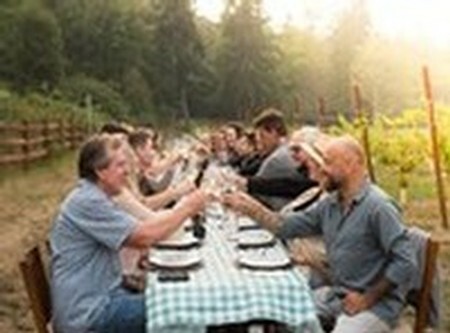 Port Townsend Vineyards was launched through the planting of the vineyard using organic farming techniques in 2015. This vineyard was carefully planned to showcase the unique grape varieties that thrive in this geography and coastal climate. 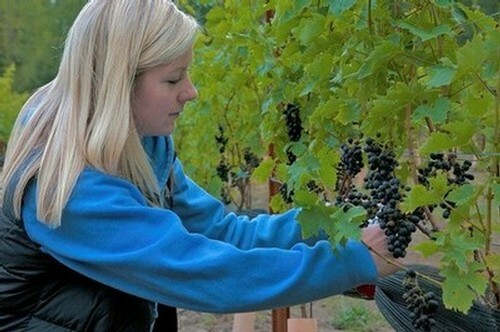 We use exclusively hand-harvesting techniques and care for the vines with no use of pesticides, fungicides, or herbicides. The Vineyard on Portuguese Hill was cultivated to showcase unique grape varieties that thrive in this geography and coastal climate. This five-zone vineyard welcomes guests by appointment onto the land to immerse them into a world of winemaking that begins with lesser-known and beautiful varieties. Walk the vineyard rows and observe the subtleties between Iskorka and Garanoir, as well as Chardonnay and Pinot Noir and many more. If you're interested in arranging a tour of the vineyard, please contact us at this email address. The vineyard is located in a part of Port Townsend known historically as Portuguese Hill. Little is known on the origin for that name, but reference to it can be found here. It is also referred to as Dundee Place.